If you are not a yoga expert Sun Salutations are a great place to start. They are a pretty basic sequence of poses, but they form the backbone of a lot more complicated asana sequences. The Sun Salutation is very easy to learn, You are basically doing a cycle of down ward dogs and upward dogs. However the simplicity is deceptive. If you do 12 Sun Salutations that works out to 288 asanas. It’s easy to do because you don’t have to think. However the nice thing about the Sun Salutations as a way to start your day is you don’t have to think—what pose do I do next. If you are like me you are pretty groggy in the morning. For a long time I would try to get into the habit of doing a yoga routine in the morning, but it was hard to stick with because I would do a couple downward dogs and then be like, “uh now what?” And spend my time trying to remember some obscure hip opening sequence or having to stop and look at a yoga book. The Sun Salutation frees you from having to think —what next? In it’s repetition it becomes a form of mediation. You don’t have to think, you just get into the flow. It is also a perfect flow to work on your pranayama, your breath. Each asana (pose) in the Sun Salutation sequence fits perfectly with your alternating breath. After you become familiar with the sequence you are no longer having to think about your balance or what foot to put where, you are able to focus on being mindful of your breath. In this way it is a moving meditation. It packs a lot of yoga shapes into about 15 minutes. I’d say each set of Sun Salutation takes about one minute to cycle through. If you do 12 Sun Salutations that works out to 288 asanas. Twelve is a good amount to start your day off. A set is doing the sun salutation on both legs, right and then left. So that is actually 24 downward dogs, 24 upward dogs ( and you are also getting in 24 push ups without even thinking of them as pushups.) Really the hardest part is just keeping track of where you are in the flow. I actually say out loud what number I am on “1, 2, 3 etc.” when I come up to standing position so I don’t lose track. A ritual is an opportunity to repeat the same action day after day, and thereby to increase it’s significance and meaning. The power of a ritual is that eventually the mood, the meaning, the mind set that you want to achieve with the ritual becomes automatic. The feeling that you want to impart to you sun Salutations is one of gratefulness for the day, as well as optimism and enthusiasm ( the vigor of the movements feel invigorating.) With the power of ritual this mood of gratitude can become yours easily and automatically every morning. And that is a great way to start the day. While you could approach Sun Salutations as a spiritual exercise, the physical benefits cannot be over stated. my yoga teacher has said that a lot of people get to caught up in the physicality of yoga, but you can get 80% of the benefits of yoga just from doing Sun Salutations. It limbers the spin, expands the lungs, strengthens the muscles in the arms and legs and stretches them. It’s basically the best most efficient stretching and strengthening series squished into a very compact set of movements. The movement and breathing gets your blood pumping and oxygen flow to your brain. It’s better than a cup of coffee. It is great to start the day knowing you are doing something good for yourself. You begin the day knowing that no matter what you have already done something healthy for yourself on multiple levels and that sets the tone for the day. Another reason that I think it is a good way to begin your mornings is if you do Sun Salutations first thing in the morning you automatically start the day feeling rejuvenated and energized, and you don’t give your self time to start the day off on the wrong foot. If you have ever taking any Hatha yoga the Sun Salutation is already familiar to you because it is generally used by many yoga teachers as the backbone for many other sequences. Because of this if you want to add on more poses to the sun salutation it is a great place to begin and then you can start adding scorpion to your downward dog or a crow to your plank pose etc. The possibilities are endless once you have the basics going. While some yoga asanas are very calming or are referred to as revitalizing and restful. The Sun Salutation s definitely energizing, because you are flowing from standing to downward dog and back again. Because of this it is the best yoga for giving your morning a burst of vitality and energy. How you start your morning sets the tone for the rest of your day. When you start your day feeling energized and awake you are setting yourself up for a good day. A recent study of 124 college students who just did Sun Salutations for 20 minutes for two weeks (and did not do any other yoga) found they reported feelings of a quieted mind, feelings of rest, joy and less worry than the control group. If you want the benefits of yoga in a simple, easy to establish home practice morning Sun Salutations are the way to go! This morning meditation went really well. Too well! Let me explain what I mean. First of all why did it go well? I think because I took a little extra time to get set up. I did a few Sun Salutations and other yoga poses to get started, including a nice long head stand which is always great for clearing the morning cobwebs out of the brain. And then I started off by chanting Om several times. This helps slow down the breathing and the resonance of slowly chanting the same syllable several times has a way of calming and stilling the mind. Then I just focused on breathing, and I was off to a great start! Unlike most of the past ten sessions I was not fidgety, my mind was not squirmy, I wasn’t daydreaming about food etc. I was in my zone! The problem is that I noticed things were going well, and I started getting excited about that! “Hey this is going really great! Good for me! I got this! etc.” I got caught up in noticing that meditation was going well and pretty soon that was all I was thinking about, and I was right back to living in my thoughts instead of the moment. Don’t get me wrong, I was happy, I was stoked. That was the problem. I forgot to be chill. I started congratulating myself for how well I was meditating. This makes meditation very tricky. We can get distracted when we feel like we are doing bad. But we can get equally distracted when we notice it is going well! This is why it is important to not judge your meditation, good or bad! Let it happen effortlessly and without judgement. I know that to my western american mind trying to do something without judging it, without congratulating yourself when it is going good, feels like a paradox. But it is crucial. the attitude necessary is one that is grounded and never changes, no matter what is going on around you. 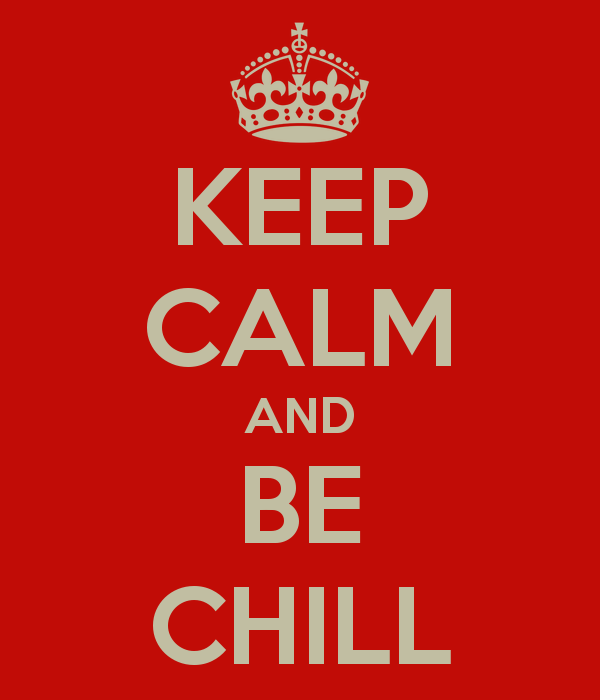 So: when things are going bad, be chill, cultivate non-attachment. And when things are going good, be chill and cultivate non-attachment. Of course I don’t really believe that. But I have been trying to convince myself that I do lately. Just as a thought experiment, or a living-life experiment really. 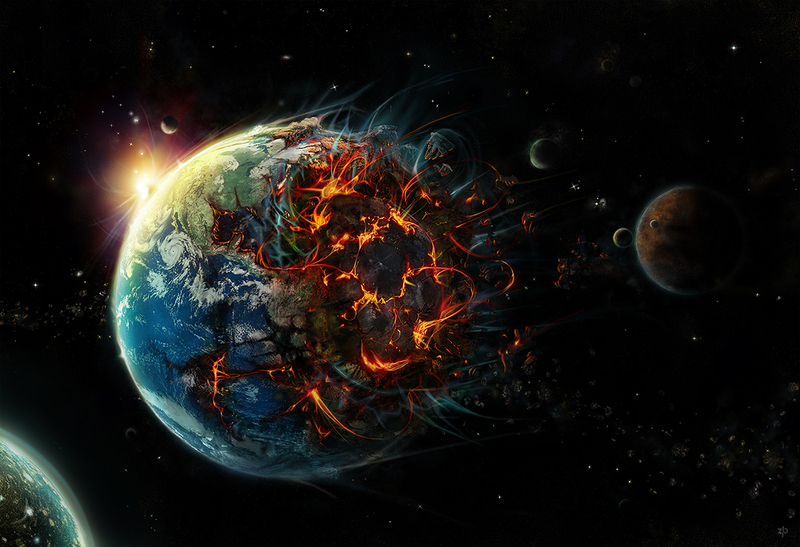 Ask yourself; if you really believed that the end of the world was happening on December 21st, what would you do? Freak out? Go on a crazy bender? Or a shopping spree? 1. bake a loaf of bread. 2. learn how to do a headstand. Yep. That’s it. Baking bread is pure zen. Simply flour, water, a pinch of salt and of yeast and you can make the staff of life. Like all good zen activities, it seems very simple, but doing it well is an art form. The headstand is for yoga. It feels great, and gives you a rush. And Gravity’s Rainbow is just one of those big giant books I’ve always meant to read but never got around to. So, if the world ends in 18 days, what are your 3 things?